I’ve been enjoying following the blog Claudia Camina. Her recent topics include practical tips on footwear, snippets about people she’s met and crazy things she has seen on the Camino. She also throws in some helpful hints, such as places to get foot massages and advice on albergues. 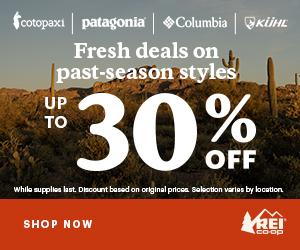 I will definitely tap into this knowledge when I am closer to walking my Camino. First of all, there’s the chocolate. It should be very dark, almost as thick as custard, lightly sweet, and piping hot. The real deal is made with pieces of dark chocolate bar melted into hot milk. Obviously, because the final product is so thick, there’s a lot of chocolate bar involved. Thanks Claudia, for this delicious post! As a chocoholic, I am so glad the Camino provides chocolate con churros as well. Peregrinos, what are your favorite chocolaterias along Camino routes? Digame in the comments below. 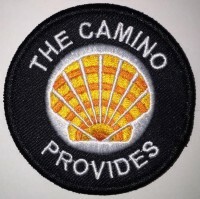 If you have a Camino blog that you’d like to have featured on the Favorite Camino Blogs, email me at laurie@thecaminoprovides.com. Darn! I was trying to post a picture I took of churros and hot chocolate in Astorga…but I guess the comments section doesn’t take images. Churros and Chocolate are a noble quest… though I must admit, they never tasted as good as they looked (the churros tended to be cold and greasy). What’s really fabulous for chocolate lovers on Camino is the chocolate croissants–often spectacularly good!